Once in a lifetime opportunity to own a piece of Baltimore History. The Hutzler Mansion built in 1887 was once owned by the prestigious Baltimore department store family, Hutzler's. The home boasts 8, 240 square feet of living space and 3246 below ground. The home is a grand example of the lavish Victorian design of the day. Sumptuous details include Stained Glass, Tile Floors, Ornate Woodwork, Opulent Mantels, Grand Staircases and a modern Elevator of the time. This is and was a home fit for a king! This beautiful home offers a savvy owner the opportunity to live in an over the top owners unit while enjoying supplemental income from three separate apartments. Keep the house configured as it is or reconfigure to make a larger owner's unit, or better yet return it to a single-family home. Currently this home has over 13 bedrooms and 7.5 Bathrooms. 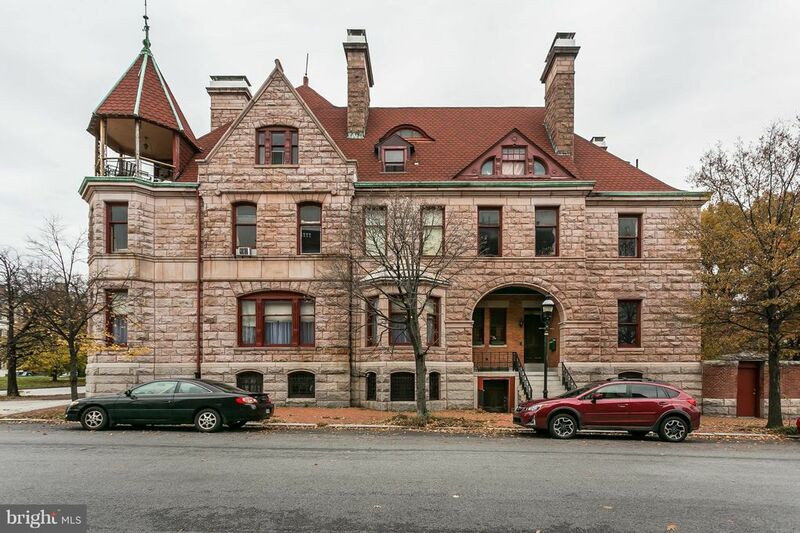 Located on the corner of Baltimore's Parisian style boulevard, Eutaw Place and Laurens St, the home sits grandly on the corner while backing up to Arnold Sumpter Park. Sumpter Park is a large public park with ample space for a Saturday Soccer game, time on the playground, a spot to walk the dogs or enjoy time on the playground. Designed by architect Thomas C. Kennedy for the original owner who was in the lumber business, each room showcases a distinct species of wood. Each formal room has a unique mantel, detailed parquet floors, wood wainscoting, stained glass, built-ins and much more. The backyard features a large private garden hidden behind beautiful brick wall. This is just another crown jewel of this property. This is a unique oasis in nestled in the city. This spacial and unique home has not been on the market since 1977. Currently zoned for 4 apartments. This is a strictly AS- IS sale. Two of the four apartments are currently occupied. 48 Hour Notice required for all showings. Restricted showing times. Owner financing entertained. Fully rented this home nets over $85k in income annually. Seller requests a financial statement from all prospective buyers in advance of confirming all showings. SHOWINGS ARE RESTRICTED TO M-F ONLY 10AM TO 4PM.